Breyer Animal Creations has been producing collectible model horse figurines for over 40 years. From 2001 to 2011 they ran a series of 50 different special runs called the Connoisseur Series. 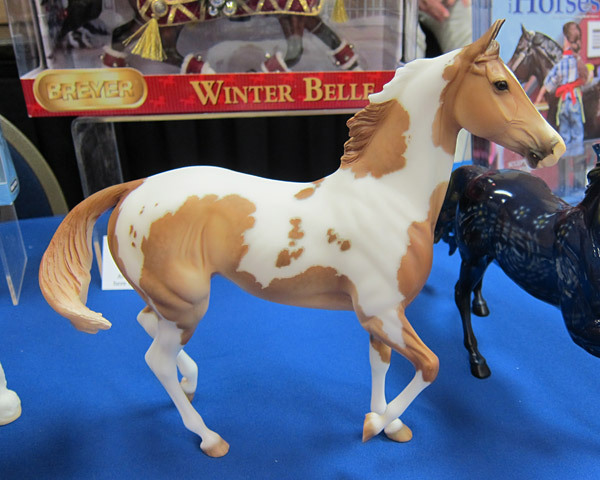 These models were produced in very limited numbers (350 models each), and were available only to subscribers of Breyer's magazine, Just About Horses. Photos of all previous models can be found here. Breyer Nympheas Connoisseur Marabella - Picasso MINT & Beautiful! only 350 made!